7th Regiment 7th Regiment posted several new videos on YouTube, including one with clips from a July 21 parade. Blue Devils Will you be in Indianapolis on Aug. 9? 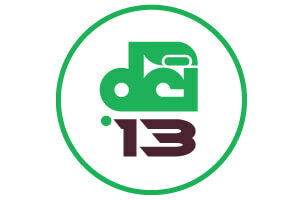 Blue Devils will host two events for alumni during the week of DCI World Championships in Indianapolis. Blue Stars Blue Stars and Troopers are participating in the Legends Showdown, a 10-day fundraising event. Visit the corps' websites or Facebook pages to donate to your favorite. Bluecoats Take a look at the Bluecoats' 2013 Yamaha equipment sale to buy gear at low prices. Boston Crusaders Last Sunday the Boston Crusaders were featured clinicians at the 66th annual Texas Bandmasters Association convention in San Antonio. After showing off their warm-up routine, corps members performed their 2013 production "Rise" to an appreciative audience. The corps posted a video recapping highlights from the event on YouTube. The Cadets Auditions to become a member of the 2014 Cadets are coming! To view information about joining the corps next summer or to sign up to receive updates, click through to the Cadets' website. The Cavaliers Want to join the Cavaliers next summer? Fill out the 2014 interest form on the corps' website for more information. The Colts The Colts announced that they received $40,000 from the City of Dubuque as part of the City Council's Arts and Culture support grant. Crossmen If you'd like to become a member of the 2014 Crossmen, read about the corps' audition process and register online. Genesis Mayor Jim Covington declared July 18 "Genesis Day" in the City of Belton, Texas. Gold Gold announced that international performers from the Laizhou Martial Arts School have joined the corps for the remainder of its 2013 summer tour. Some of the corps' tour details have changed in order to take time to incorporate the special performers into the corps' 2013 production. Jersey Surf Jersey Surf posted a video offering a backstage look at its recent performance in Houston. Legends Fans can support Legends by contributing to its Fuel Up Legends Campaign, which allows donations to help pay for fuel and food. Madison Scouts The Madison Scouts posted a gallery of individual portraits and section photos of corps members that can be purchased from the organization's Madison Scouts Live website. Mandarins The Denton Record-Chronicle interviewed members of the Mandarins' cymbal section, and featured information about the corps in a recent feature. Music City Music City posted footage of its July 20 rehearsal in a new video on its YouTube channel. Pacific Crest In the most recent Pacific Crest TourBLOG, corps member Talon Werner discusses his first year with the corps. Phantom Regiment Follow Phantom Regiment's tour blog in order to keep up with the corps in its last few weeks of the 2013 summer season. Racine Scouts You can support the Racine Scouts by contributing to the corps' annual March-A-Thon fundraiser. Santa Clara Vanguard Learn about Santa Clara Vanguard's administrative team this week on the corps' continuously updated blog, #SCVonTOUR. Spartans Spartans is eligible to receive a $5,000 grant with the help of its fans. The corps asks supporters to vote every 24 hours from now until Aug. 2. Troopers Troopers have asked fans to donate in order to show their support for the corps in the Legends Showdown, a 10-day head-to-head fundraising event against the Blue Stars. Visit the corps' websites or Facebook pages to vote for your favorite.